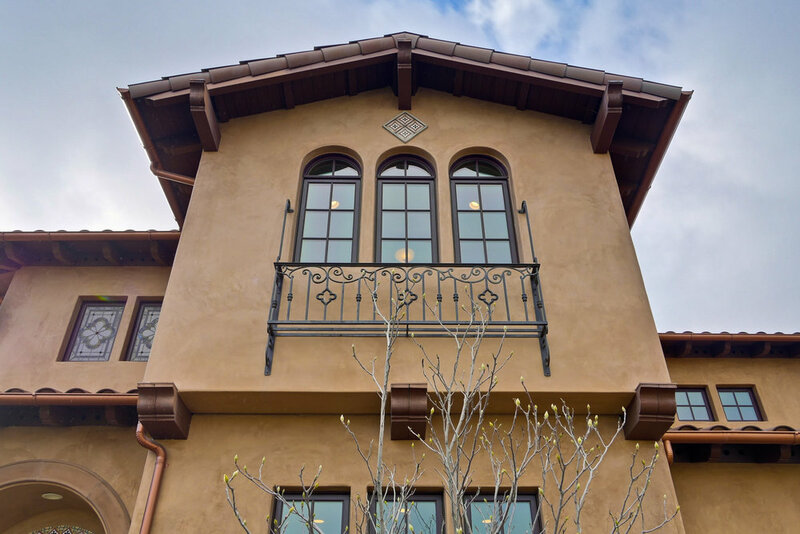 This elegant Spanish beauty was built as the developer's own residence. 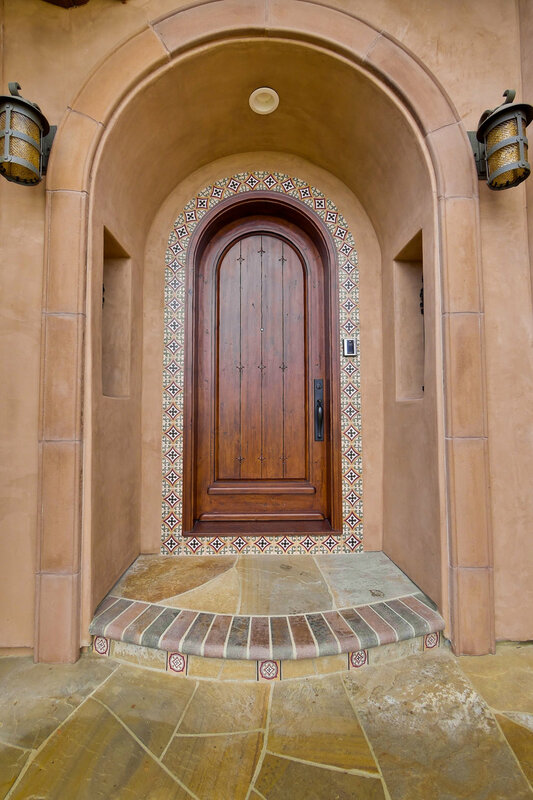 The home is well appointed with meticulous attention to detail, from the hand-painted tile accents on the exterior to the quatrefoil design echoed in custom stained glass windows, hand-painted light fixtures, and bespoke ironwork details. 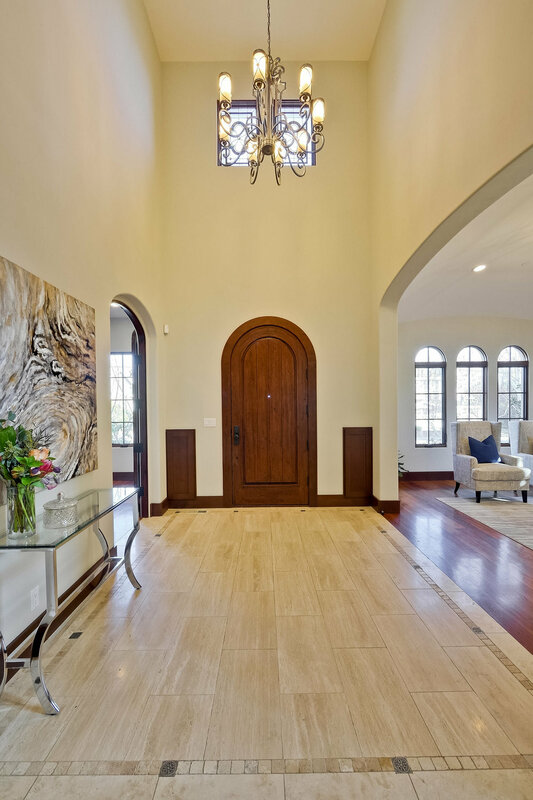 A gracious foyer welcomes you into the home with double-height ceilings and travertine floors. The elegant living room has beautiful coved ceilings and modern stone fireplace surround. A stately library features built-in cabinets and overlooks a thoughtfully landscaped front yard. The rich wood beam ceiling accents are continued in the dining room and family room. The kitchen boasts an enormous island with beautiful granite countertops, Thermador suite of appliances, beverage fridge, double oven, steamer, warming drawer, and 6 burner cooktop. The spacious family room and breakfast nook open out to a lush landscaped garden with mature fruit trees, beautiful rose bushes, and stone patio and sitting area. 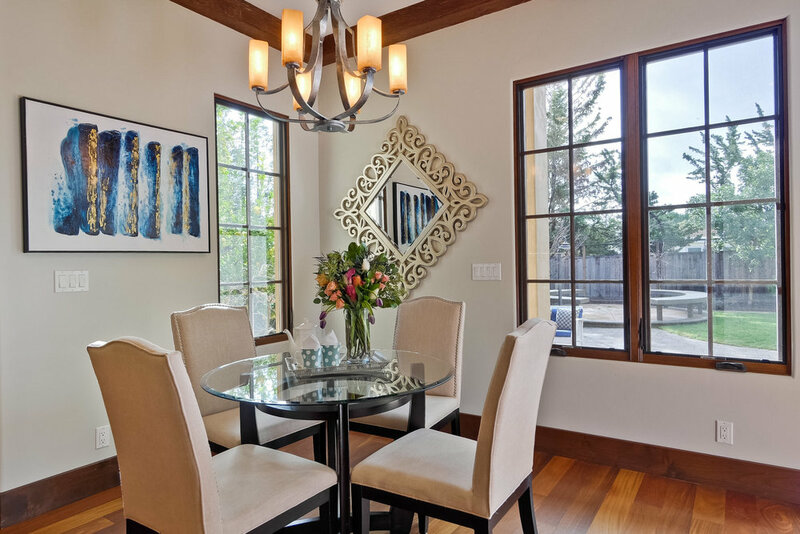 Brazilian teak floors, luxurious Alder doors, and wood-clad casement windows can be found throughout the home. 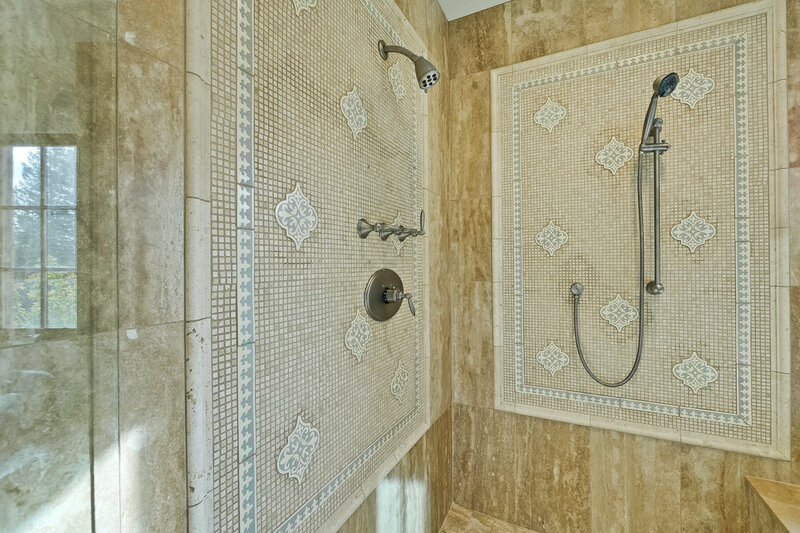 The main floor is completed by a powder room and in-law guest suite. Upstairs, the master bedroom includes dual closets, spa bath with travertine tile, and coved ceiling details. There are also three additional large bedrooms, each with en-suite bath, on this floor.